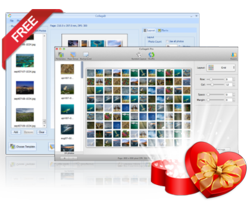 CollageIt is a most easy-to-use collage maker which allows individuals to make photo collages on Mac and Windows automatically in minutes with just a few clicks. Whether to a casual user or professional photographer, one can easily and quickly master it. With CollageIt, people can share photos with friends and families in a unique way. This entry was posted in Which Open Source Blog and tagged CollageIt, Collages, Create, Free, Giveaway, Mother's, Photo, Week on March 3, 2013 by Administrator. This entry was posted in Which Open Source Blog and tagged Collaboratively, Content, Create, eLearning, Flash, Learn, Robust, Track on January 26, 2013 by Administrator. Packt is pleased to announce a new book on Joomla!, the award winning open source Content Management System. Following the success of the best selling Building Websites with Joomla! book, Learning Joomla! 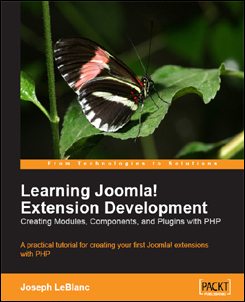 Extension Development is a practical tutorial to help use PHP code to create Joomla! extensions: modules, components, and plugins. Joomla! is a fully featured web Content Management System and was created in 2005 as a fork from the hugely popular Mambo CMS. While Joomla! is packed with features, its greatest quality is that it is extremely extensible, allowing any number of complex applications to be cleanly integrated. Shopping carts, forums, social networking profiles, job boards, and real estate listings are all examples of extensions developers have written for Joomla!. All of these can run off one Joomla! site, while only one database, template, and core need to be maintained. When an extension to Joomla! is built, it will inherit the look and feel of the overall site. Any type of program that can be coded in PHP is a potential component waiting to be written. Learning Joomla! Extension Development is designed for users eager to start creating extensions for Joomla!. Walk through the development of complete Joomla! components and modules with this tutorial for PHP programmers. Written for Joomla! version 1.5, this book will get users started coding their first extensions as quickly as possible, and adds the features that makes work look professional. Packt believes in Open Source. When they sell a book written on an Open Source project, they pay a royalty directly to that project. As a result of purchasing one of their open source books, Packt will have given some of the money received to that open source project. This entry was posted in Which Open Source Blog and tagged Book, Components, Create, Joomla, Modules, Plugins, Using on January 5, 2013 by Administrator. Packt is pleased to announce a new book on designing Joomla! templates. Written by Tessa Blakely Silver, Joomla! Template Design is a complete guide for web designers to all aspects of designing unique website templates for the free Joomla! PHP Content Management System. The Joomla! template is a series of files within the Joomla! CMS that controls the presentation of content. A template is the basic foundation design for viewing a Joomla! website. To produce the effect of a “complete” website, the template works hand in hand with the content stored in the Joomla! databases. The Joomla! development team recently announced that they are committing themselves to the GPL license and that all propriety extensions will need to comply to the same license. This has caused some confusion concerning the distribution of templates. This is because a template package is made up of different files; some that the GNU GPL applies to and others that it doesn’t. Louis Landry from Joomla!’s Core Team states that “non-code elements of a template package are just data acted upon by the software and may be licensed in any way that the author sees fit.” Therefore, the current uncertainty over third party development of templates will require more users to create their own quality, professional-level templates. Joomla! 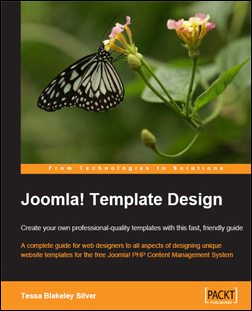 Template Design is a well-crafted, easy-to-use book and a complete guide to creating Joomla! templates for a website. It guides users through setting up a basic workflow for Joomla! template design, debugging and validating the template code, creating drop-down menus, interactive forms, and dynamic forms for a site, and packaging up the finished template in a ZIP file for users. The book explains how to deal with and use multiple templates in the same site. It advises users on creating beautiful Joomla! designs using CSS rather than tables in your templates. The book offers guidelines on using animations and other effects in Joomla! templates and provides tricks for tweaking existing templates. This book is aimed at web designers who want to create their own unique templates for Joomla!. Readers should have basic knowledge of Joomla! and also some knowledge of CSS and HTML, and using Dreamweaver for coding purposes. Joomla! Template Design is published by Packt and it out now. For more information, please visit http://www.packtpub.com/Joomla-Template-Design-open-source-PHP-MySQL/book. For more information, please visit http://www.PacktPub.com. This entry was posted in Which Open Source Blog and tagged Create, Joomla, Learn, Professional, Quality, Templates on January 5, 2013 by Administrator. TopCMM Software Corp. the industry leading flash chat software provider, announces the release of version 6.7 of 123flashchat, a recognized solution for creating chat lobby chats and all sorts of real-time communication events, including video and audio chats. It has everything needed for a quality chat room software for website. The new features include a user-friendly admin panel and a brand new skin. The website owner will sooner or later realize that a comfy chat is one of the crucial elements required for sustaining the popularity of the site. 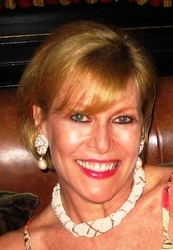 What could be more attractive for a talkative visitor than a chat room? The answer is a sleek, feature rich and convenient chat room. Exactly the kind of chat 123flashchat can create. With the help of 123flashchat, a dating or community website will be able to turn visitors to loyal members. 123flashchat can be smoothly integrated with almost any database of popular portal or forum system, including phpBB, vBulletin, Drupal, Joomla!, phpnuke, postnuke, IPB and others. 123flashchat can authorize user accounts dynamically enabling the auto-login feature. Logged to site, users won’t be required to enter name and password again when joining the chat room. Both end-user and administrator will find no problems with adjusting 123flashchat, thanks to its neat customization options. It also requires no knowledge of java or flash to install and to chat. The same level of convenience is available not only to MS Windows users. 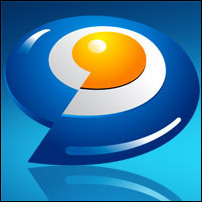 In case you use other OS, you will appreciate that 123flashchat is cross-platform software. 123flashchat works well under a variety of operational systems, such as Windows, Linux and Mac OS. 123flashchat consists of a java-based chat server and a flash chat client. The multi-threaded server engine works like clockwork and comes with high load support, ensuring unprecedented performance with any number of visitors and chat rooms. The handy and refresh free flash chat creates the most comfortable communication experience for users. It also provides fully-fledged functionality, e.g. transfer images, draw on the White Board feature and communicate by means of audio and video (optional). What’s more, the software features firewall penetration, database connection pool, multi-language support, can add banners to chat and encrypt chat messages. 123flashchat has gained clients’ confidence worldwide for superior performance, ease of use and impressive amount of features. From version to version the software has proven to be even more refined and accurate. It’s no wonder that now 123flashchat is in high demand and used by more than 2000 customers representing websites in over 70 countries. Besides 123flashchat, the TopCMM Software Corp. provides chat hosting services. 123flashchat opens up opportunities for enhancing the attractiveness of any website, so why not try it right now. 123flashchat runs under all 32-bit versions of Microsoft Windows, Linux and Mac OS and others, visit 123flashchat website to see the full list of supported platforms. Licensed customers are entitled to the fully-functional version of the product, free technical support and free upgrades. Additional information on 123flashchat, as well as a free trial copy is available free of charge from 123flashchat website. The company was founded in 2003 and specializes in the development of multimedia and communication software, technical support, service and consulting. The company’s products are popular all over the world and received numerous awards from software review websites. For more information, please visit TOPCM website. This entry was posted in Which Open Source Blog and tagged Chat, Create, Flash, Room, Server, Software, v6.7, Website on January 5, 2013 by Administrator. This year iOS users can celebrate Thanksgiving with two brand new apps that allow them to create and share holiday e-cards with their family and friends – near and far. There are countless Thanksgiving themed apps in the iTunes Store, but there are very few that allow people to create custom Thanksgiving e-cards with their iPhone or iPod Touch. !Thanksgiving + is a full featured, yet simple app, that allows users to take a photo or select an existing image from their camera roll, add and edit more than 25 professionally designed pieces of art, add one of the 14 included picture frames and write a custom caption on the e-card before sending. Then with one click, the user can share their creation via Facebook, Twitter, email and text. This app is available now in the iTunes Store for $ 0.99. !Thanksgiving is the free version of this app which includes all of the core features of !Thanksgiving +, but has ad support, fewer pieces of professionally designed art, and a limit on the number of pieces of art that can be added to a photo. More than 25 pieces of professionally designed holiday art (!Thanksgiving +). More than 10 professionally designed frames (!Thanksgiving +). Simple e-card sharing via Twitter, Facebook, text, and email. Users can write their own captions if they want. Both apps are available for iPhone (3GS and later) and iPod Touch (3 or later) running iOS 4.3 or later, optimized for iPhone 5 and the new iPod Touch, and are 8.3 MB downloads. This entry was posted in Which Open Source Blog and tagged Apps, Create, eCards, Thanksgiving on December 13, 2012 by Administrator. Sophisticated Northern Virginia Vinifera Wine Bar & Bistro just launched an innovative new website created by Maryland Web design firm, Blue Water Media. The site boasts flash animation, an interactive wine blog, a photo showcase displaying decadent gourmet food creations by Viniferas acclaimed resident chef, and the award winning Joomla content management system. Like the restaurant, the sites unique, stylish and welcoming feel is sure to delight Northern Virginias food and wine enthusiasts and keep them coming back for more. The custom flash display on the Vinifera homepage gives the site a modern and polished feel, which is in synch with the restaurants hip image. High quality pictures of food and wine set against a backdrop of deep wood tones contribute to an overall warm ambience. In addition to being easy on the eyes, http://www.viniferabistro.com is extremely user friendly, with features designed specifically to boost visitor engagement. A prominent Reservations call to action on the home page grabs attention, encouraging people to use the online functionality for checking availability and booking reservations. The easily located contact and private function information makes getting in touch with someone at the restaurant for party and special event planning easy. Finally, wine lovers will enjoy exploring the state of the art interactive wine blog, and organic foodies wont be able to get enough of the Chef Bos Garden page which shows where the restaurants fresh produce is grown. Blue Water Medias implementation of the Joomla content management system enables the Vinifera staff to easily and independently update the site on an ongoing basis, keeping it up to date with regard to specials, live entertainment, upcoming events, and menu additions. This further encourages restaurant patrons to view the site as an all- inclusive information resource. The numerous improvements to the Vinifera website ensure the restaurants continued success as a decadent urban sanctuary in one of Americas most renowned suburbs. Vinifera is a unique and sophisticated wine bar and bistro located in Reston, VA. Its executive Chef, Bo Palker, offers a unique variety of culinary experiences and a life-long passion for the art of gastronomy to the kitchen at Vinifera. He incorporates a multitude of flavors with global influences to Vinifera’s innovative American cuisine. Chef Bo has planted his own herb garden located on Vinifera’s seasonal outdoor patio, which includes oregano, basil, rosemary, thyme, heirloom tomatoes and moreall incorporated into his gourmet dishes at Vinifera. Blue Water Media is a leading Washington DC web design agency. Offering clients a variety of design services including print, brand identity and web design, Blue Water Media has worked with businesses in a wide variety of industries in the Washington DC metro area and beyond. Blue Water Medias reputation for developing innovative yet functional websites and online marketing campaigns establishes it as an industry leader. For more information, please visit: http://www.bluewatermedia.com/. This entry was posted in Which Open Source Blog and tagged Bistro, Create, Designers, Mouthwatering, Site, Vinifera, Wine' on October 25, 2012 by Administrator.